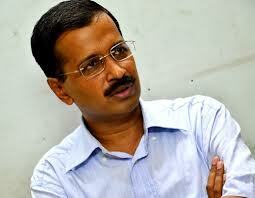 Arvind Kejriwal (born 16 August 1968) is an Indian politician and social activist. He was an Indian Revenue Service, IRS, official before joining social and political activities. He was awarded the Ramon Magsaysay Award for Emergent Leadership in 2006, for activating India's Right to Information movement at grassroots and social activities to empower the poorest citizens to fight corruption by holding the government answerable to the peopleKejriwal is also a Saathi (fellow) of the Association for India's Development, a Global Impact award winning NGO. In 2006 after resigning from IRS, he founded an NGO Public Cause Research Foundationby donating his Magasaysay award money as corpus fund. In November 2012, he launched the Aam Aadmi Party, whose vision is Swaraj. Arvind Kejriwal studied mechanical engineering at IIT Kharagpur and joined Tata Steel right after his graduation and was posted at the company's Jamshedpur plant. Kejriwal quit his job with Tata Steel in 1992 and spent some time working with Mother Teresa's Missionaries of Charity in Kolkata, the Ramakrishna Mission in North-East India and Nehru Yuva Kendra. Arvind Kejriwal is married to Sunita, who is also an IRS officer and his batchmate from National Academy of Administration in Mussoorie. Presently, she is working as an Additional Commissioner in the Income Tax Department. The couple have two children, a daughter, Harshita, and a son, Pulkit.] Arvind Kejriwal has written a book titled Swaraj. The Aam Aadmi Party (AAP) on Saturday accused the Delhi Jal Board of connivance in corruption through its projects commissioned to two foreign firms, Degremont and Veolia. The party demanded an independent probe into the matter. AAP founder member Arvind Kejriwal said, "The government has awarded a project worth Rs.516 crore to Degremont to reduce the non revenue water (NRW) in Malviya Nagar, but there is no NRW. This is a fake project and this burden will fall on the consumers in the end." He alleged that the government has given a contract to Veolia in Nangloi for treatment and distribution of water and collection of bills at Rs.14.99 per kl, while DJB is doing the same work for Rs.2.90. "The government is planning projects all over the Capital. This will turn into a Rs.5,000 crore scandal. In the last decade, corruption to the tune of Rs.10,000 crore happened in the DJB," he said. Kejriwal said the documents he had procured showed that the DJB has inflated production figures in the Sonia Vihar plant commissioned to Degremont in 2006. The documents of the Uttar Pradesh government, which is responsible for supplying water to the plant, show a mismatch between the water supplied to the plant and water produced after treatment. As Anna Hazare and Kiran Bedi who worked with Arvind Kejriwal in janlokpal bill movement wanted to stay away from any political party, Anna Hazare and Kiran Bedi separated their activities with Arvind Kejriwal and took over India Against Corruption Movement, Kejriwal became active in matters of politics. Anna even told Kejriwal not to use his name for political purposes. Anna later met Kejriwal along with social activist Manish Sisodia on October 2 and stated that even though their ways were different, their goals were the same. The party was formed on 2 October 2012, and named Aam Aadmi Party on 24 November. On October 2012 in a press conference, Kejriwal alleged of a nexus between realty firm DLF and Robert Vadra (son in law of Sonia Gandhi). He accused Vadra of taking an interest-free loan of Rs. 65 crores and heavy bargains on land from DLF Limited in exchange for political favors. He said the Haryana government gave 350 acres of land meant for a hospital to SEZ, of which Robert Vadra had 50% of shares in the SEZ project. Following this revealings, now transferred and the then Director General(Consolidation of Holdings – Haryana) Ashok Khemka had ordered to cancel about 3.531 acres of land holdings in Shikhopur village, Manesar, Gurgaon and its subsequent sell to DLF by companies associated to Mr. Robert Vadra. Following this on 12 October 2012, Kejriwal and Kumar Vishwas along with some activists were detained by police while marching towards prime minister's residence demanding resignation and arrest of Union Minister Salman Khurshid over allegations of financial irregularities in functioning of Zakir Hussain Memorial Trust, an NGO run by his wife as Project Director and his mother being Chairperson of the trust. In continuation to the series of exposé, on 18 October 2012 Kejriwal alleged that Nitin Gadkari's (President of Bharatiya Janata Party), factories have robbed the farmers of Vidarbha in Maharashtra of their land and water. Kejriwal also said that Gadkari has many business interests, for which he has made arrangements for their protection. He accused that 100 acres of extra land that belonged to small farmers was transferred to companies owned by Nitin Gadkari in the garb of an irrigation project in Vidarbha. He also said that extra land was not returned to farmers, despite a Maharashtra government ruling. He also alleged that the water meant for the Vidarbha farmers was diverted to power and sugar units, some of which are owned by Gadkari. On 31 October 2012, Arvind Kejriwal and Prashant Bhushan alleged that Reliance Industries was favored by UPA and NDA government by providing them contracts on gas exploration in the KG basin at very cheap rates. RIL, however, clarified that the allegations were baseless and untrue. On 9 November 2012 Kejriwal claimed in his series of exposés that several industrialists and politicians including Naresh Goyal, Yashovardhan Birla, the Burman family, Congress MP Anu Tandon, and others evaded tax by stashing away their alleged undisclosed wealth in HSBC bank accounts in Geneva. He claimed that the Government of India made little efforts to retrieve the money back and demanded clarification on the issue from President Pranab Mukherjee, who was then the Finance Minister. He claimed to have a list of 700 bank accounts that amounted to a total of INR6,000 crore (US$1.09 billion). On 4 December 2012, Kejriwal and the members of AAP accused Narendra Modi for favoring Adani Group on power purchase and land allotment at cheap rates and also providing gas fields to two private companies, Jubilant Energy and Geo Global, for free. The Minister of State for Energy, Saurabh Patel, said that the charges were baseless and aimed at denigrating Modi's image. The accused was identified as Jitendra Pathak of Uttar Pradesh’s Jakopkjplaun district, who worked for the Indian National Congress from 2006–2009 and is a former member of the Congress Sewa Dal. He was caught by IAC volunteers and handed over to the police. Pathak was responsible for key areas in Jhansi, when he worked under the Sewa Dal. As per the accused acceptance, he considers Anna Hazare as his role model. Later, in a sting operation done by India TV in Lucknow, the attacker threatened a bomb attack during Anna Hazare's anti-graft movement in Uttar Pradesh. Kejriwal said though the government had received a list of 700 Indians who had Swiss accounts, it chose to act against only a few, and did not move against the biggest offenders. "Indian government seems to be more interested in helping the guilty rather than punishing them," he said. He named Reliance Industries Chairman Mukesh Ambani, Reliance ADAG Chairman Anil Ambani, Jet Airways Chairman Naresh Goyal, the Burman family that owns Dabur, Yash Birla Group Chairman Yashovardhan Birla, and Congress MP Annu Tandon as having large deposits in HSBC's Geneva branch. Kejriwal's allegations pertain to events that occurred in 2011, when the income-tax authorities carried out raids against a number of people based on a so-called 'HSBC list'. In 2008, Herve Falciani, a former security expert at HSBC Bank's private banking headquarters in Geneva, stole a database with client details and leaked it to tax authorities around Europe. The database contained details of account holders, many of them allegedly tax evaders, from 180 countries. Subsequently, France agreed to hand over the list of 'Indian' account holders under the bilateral double taxation avoidance agreement. But under the pact, such information can only be used for tax recovery purposes and cannot be made public. As a result, the government rejected the Opposition demand in Parliament that the list be made public, and instead agreed to table a white paper on black money. In the white paper, the government said deposits by Indian nationals amounted to only 0.13% of total deposits in Swiss banks. The Income-Tax Department had then formed 12 teams to probe the names in the list, as ET reported in November 2011. Raids were conducted around the country. In all, over a 100 people were raided. In an article in its January 4 edition, ET had reported that HSBC Bank had apologised to Mukesh Ambani as his name had "erroneously" figured in the list of account holders. The article cited communication from HSBC officials to the elder Ambani, acknowledging what bank officials termed as an 'administrative error'. The communication informed India's richest man that his name might be among the ones passed on to India's income-tax authorities. In the second attack on a key Team Anna member in a week, a man threw a slipper at Arvind Kejriwal today when the social activist was proceeding for anevent here as part of their anti-corruption campaign. The slipper attack was condemned as unacceptable and unfortunate by Team Anna and political parties with Anna Hazare saying he is not deterred by the incident and that his group is ready to face ‘bullets’ to eradicate graft. The man identified as Jitendra Pathak of Jalaun district hurled the chappal at Kejriwal after he alighted from a vehicle and was about to reach the dais at Jhulelal park. The man, who was stated to be around 40 years, claimed that he was not associated with any party. He was quickly overpowered and allegedly roughed up by volunteers before being rescued and detained by the police in a temple within the park vicinity. He has been taken under preventive custody. Team Anna core committee member Sanjay Singh told reporters that Kejriwal had “pardoned” his attacker. Prashant Bhushan, a key member, was attacked by members of a right-wing group in his Supreme Court chambers On October 12, allegedly over his remarks advocating plebiscite in Kashmir. An unfazed Kejriwal went ahead with his scheduled programme telling his audience that if Jan Lokpal Bill was not passed in the winter session of the Parliament then Hazare would come to Uttar Pradesh and appeal to people not to vote for Congress in the forthcoming assembly elections. Kejriwal said that the team has no rivalry or hatred towards the ruling UPA or Congress. Kejriwal’s assailant accused the activist of misleading people on the issue of corruption. “We are checking the details of the man, who has disclosed his name is Jitendra Pathak, hailing from Jalaun district,” SP (Trans Gomti) Nitin Tiwari said. Tiwari said that according to initial probe Pathak was not associated with any organisation and his antecedents were being checked. “Whatever facts Pathak has told us, he took the step as he does not agree ideologically with Anna Hazare’s campaign,” the SP said. ”As of now we have taken him into preventive custody and are examining what action can be taken. Tiwari said that initially it has emerged that Pathak misbehaved with Kejriwal. ”In the initial investigation matter of hurling slipper has come to our knowledge,” he said. Condemning the attack on Kejriwal, Team Anna member Kiran Bedi said vested interests against their anti-graft campaign were behind the incident. DIG D K Thakur said late last night that no FIR has being filed against Pathak in the absence of a complaint from Kejriwal. According to Thakur, Kejriwal’s attacker has claimed that he was a former Congress worker when he was a member of the party’s Seva Dal between 2006 and 2009. He said the claim is being verified. Pathak said he carried out the attack since he wanted to “insult” Kejriwal and that he did it on his own volition. Team Anna is still campaigning against Congress.” Meanwhile, All India Congress Seva Dal chief Mahendra Doshi denied that Jitendra Pathak was associated with Congress or Seva Dal. “We checked up and found that he was not associated with either district or state unit of Seva Dal”, Doshi said. He said “as a discplined unit, we condemn the attack on Kejriwal”. "now a days we can count arvind kind of people who just live for his country.....jai hind "